The Nokia N810 Internet tablet was an Internet appliance from Nokia, announced on 17 October 2007 at the Web 2.0 Summit in San Francisco. Despite Nokia's strong association with cellular products, the N810, like preceding tablets produced by Nokia, was not a phone, but instead allowed the user to browse the Internet and communicate using Wi-Fi networks or with a mobile phone via Bluetooth. It built on the hardware and software of the Nokia N800 with some features added and some removed. The Nokia N810 featured the Maemo Linux distribution operating system based on Maemo 4.0, which featured MicroB (a Mozilla-based mobile browser), a GPS navigation application, new media player, and a refreshed interface. On 1 April 2008, Nokia announced a WiMAX equipped version of the N810 called the "N810 WiMAX Edition". This device was to be identical in specifications to the original N810 but included a WiMAX radio for use initially on Sprint's Xohm network, and featured a color change from Light Gray or dark blue to Black, as well as a larger case-back bulge to accommodate an antenna that was more efficient at the required bands. The production of the Wimax Edition of the Nokia N810 ended in January 2009. 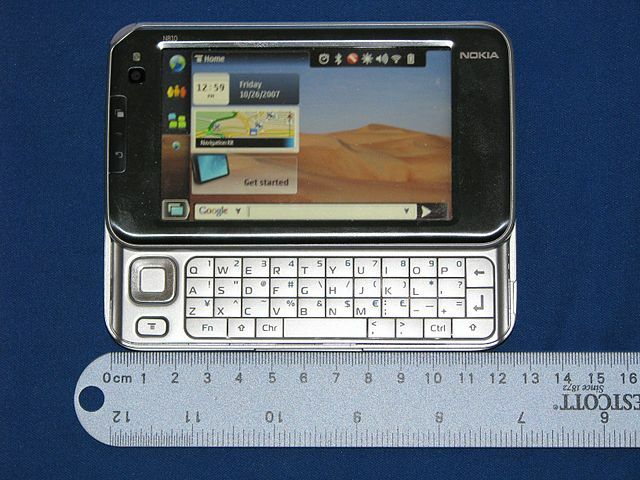 The N810, like all Nokia Internet Tablets, ran Maemo, which was similar to many handheld operating systems, and provided a "Home" screen — the central point from which all applications and settings were accessed. The Home screen was divided into areas for launching applications, a menu bar, and a large customisable area that could display information such as an RSS reader, Internet radio player, and Google search box for example. Maemo was a modified version of Debian GNU/Linux. 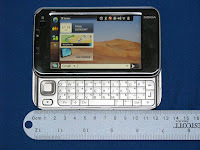 The N810 was bundled with several applications including the Mozilla-based MicroB browser, Adobe Flash, Gizmo, and Skype. Mobile Firefox "Fennec" was also made available for N810, and promised to make users "forget about the clunky, stripped-down mobile Web you're used to". Installation added the Mozilla repository to the Application Manager, allowing automatic notification of updates. Last updated on 14 July 2016 at 00:34.